MSF Switzerland started to work in Tanzania in 2015, following an influx of refugees coming from Burundi and DRC. MSF currently works in one refugee camp at the border with Burundi directly providing medical care in secondary and primary health facilities, responding to outbreaks of epidemic diseases and other medical humanitarian emergency situations. We are looking for a Head of Mission (HoM) to lead the operational response of MSF Switzerland in Tanzania. In collaboration with the operational cell, defining the mission operational strategy, coordinating MSF’s program execution, identifying humanitarian challenges and representing MSF’s interests before third parties. 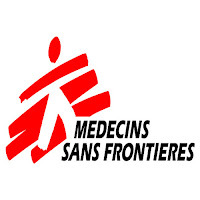 S/he will also be responsible for ensuring compliance to MSF’s charter, ethical standards and policies as well as international and national laws and regulations, in order to realize organizational objectives and reach quality targets for the Mission. External relations and partnerships: Continue to build and maintain strong external relationships, especially with the authorities and the institutions. Ensure good communication with the authorities on the evolution of our activities, our prospects, new plans. The HoM additionally ensures a good follow-up of the communication protocol at all levels, the drafting and signature of agreements and Memorandum of Understandings at central and regional levels.Humanitarian affairs, Advocacy/ Negotiation and Communications: Contributing to the MSF communication strategy. In collaboration with country and regional team, improve MSF’s advocacy capacity through increased engagement with relevant governmental and non-governmental stakeholders. Strategic and operational planning through 2019, 2020 and beyond: Initiating and leading the mission-wide operational strategy; including country policy, annual plan, budget and policy frameworks. Leading the management team translating the strategic objectives into operational activities. 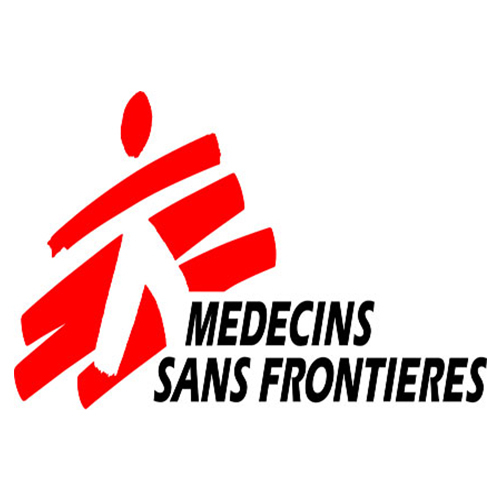 Monitoring developments in MSF’s general policies and strategies and adapting the annual plan of the mission accordingly.Programming: overseeing the mission’s programming to ensure effective and efficient design and implementation of MSF’s operations in Tanzania. Security, humanitarian and context analysis: following closely the evolution of the context at national, regional and international levels. Lead the preparation, regular updating and implementation of the security plan and documents in line with MSF standards and procedures. Management and Human Resources: Leading the mission and its staff, providing a clear vision for the direction of the mission and bringing staff together across functional and geographical lines to achieve the mission’s objectives. Managing, coaching and developing direct reports in line with human resource policies. Finance and Logistics: Being responsible for the appropriate mobilization, use and management of financial and logistic resources in the mission in line with MSF policies. Working relationships with HQ and Field Staff: key actor between the field and HQ, the Head of Mission contributes to maintain good working relationships with HQ, both with the Desk and with technical departments and the Field teams. Compliance, Prevention of fraud and abuses of power: responsible for MSF’s reputation and fiscal responsibility in the country as well as for ensuring that MSF Abuse of Power policy is known by all staff and that reporting mechanisms are in place. Academic background to Master’s Degree level in public health or paramedical or the field of international relations, social sciences, political science, humanitarian affairs. Lower level of education will be considered if compensated by years of relevant professional experience. At least 2 years working experience as a Head of Mission (Country Director) with MSF or another international NGO. Previous experience with MSF mandatory. Strong experience in representation and negotiation at a senior level and in a multi-stakeholder environment. Excellent communication (both verbal and written), interpersonal and negotiation skills. High capacity for work, are able to overcome stress and to work under pressure. Ability to identify and analyze humanitarian needs and then translate this into potential responses. Excellent coordination capacity and ability to interact constructively with people. Paid flight to country of residence or financial assistance for other locations each 6 months if non- accompanied. Departure on mission possible with family including family package (paid flight back once a year, school fees participation, medical coverage and perdiem for family members). Working with MSF is helping people in danger in the field. Your skills are needed in the context (natural catastrophes, population displacements), chronic conflicts or within the scope of particular medical projects. By joining MSF, you are committing yourself to a recognized international associative movement, with a specific approach to humanitarian aid. You advocate for the situations you have seen in the field. You benefit from a personalized career follow-up, you develop competencies and in the long-term gain responsibilities. MSF is a civil society initiative that brings together individuals committed to the assistance of other human beings in crisis. As such MSF is by choice an association. Interested candidates should forward their complete application (resume and letter of motivation) to recruitment@geneva.msf.org, stating “HoM-Tanzania” in the subject line. The deadline for applications is 30th April 2019. ** The applications will be treated confidentially.